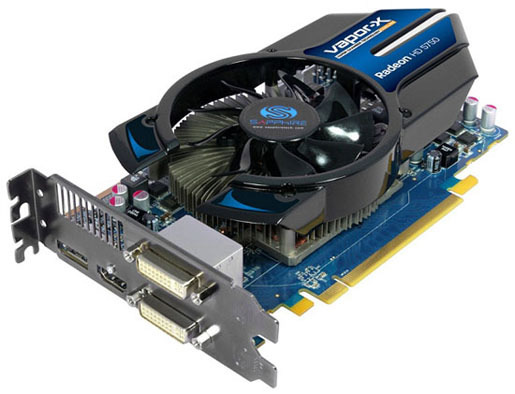 Sapphire Introduces Radeon HD 5750 VaporX Graphics Card ! 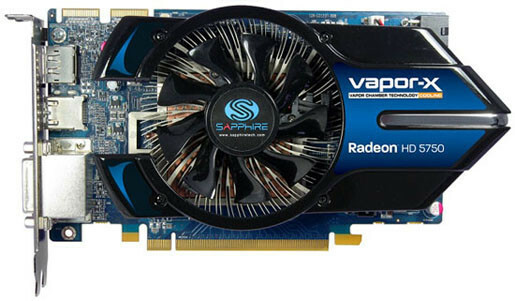 New model custom graphics is ready to hit the market from Sapphire in the form of the Radeon HD5750 Vapor-X. It is a Juniper-based GPU that integrates 720 Stream Processors, a 128-bit memory interface, a 1GB of GDDR5 memory and a dual-slot cooler. This dual slot cooler works with chamber technology and offers several connectivity ports comprising Dual DVI, HDMI and Display Port. 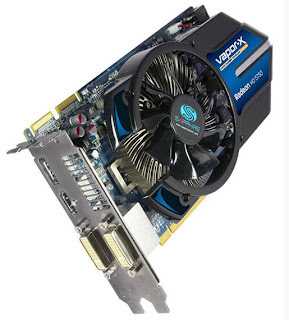 Moreover, this card brings several overclocked frequencies-700MHZ for the GPU and 4600MHZ for the memory and supports DirectX11, CrossFirex and ATI Eyefinity. This is expected to be available from November 3rd and the price of the card hasn’t yet been announced.